Let’s start this 2017 with a round-up of the best tourist spots in the Philippines. This list features every must-see attractions in the Philippines, from the islands in Palawan to recent highlights such as Kalanggaman Island in Leyte — as recommended by local and international travel influencers. This definitive list of best tourist spots in the Philippines is useful as a checklist for local travelers (“Have you visited them all?”) and as a guide for foreign travelers spending a few weeks in the country. Tagaytay is definitely a must-see in the Philippines. When you visit Tagaytay, you will enjoy a perfect weather, not so warm during the day and with fresh cool air at night. Once you are in Tagaytay, you can visit and trek Taal Volcano, the second most active volcano in the Philippines. It’s very accessible within the city, with an additional 15 minute boat ride. After a quick boat ride, there’s an hour of hiking until you reach the volcano’s crater. Once you are at the top, you can enjoy breathtaking views, take pictures and even enjoy fresh coconut juice. The hike is very easy, and you can even do with while riding a horse if you choose to! Know more about Tagaytay from Ruben. Carved into the mountains over 2000 years ago and passed down from generation to generation, the rice terraces of the Philippine Cordilleras are a marvel of sacred traditions, social balance and beauty. While there are a number of places in the area to see rice terraces, witnessing them from the small village of Batad was my favorite. In fact, it was one of the best memories of my life. There’s nothing quite like relaxing on the porch of a small guesthouse looking out over ancient rice terraces while waiting for bright fireflies to come out at night. This UNESCO World Heritage Site is a must-see when visiting the Philippines and one of the top wonders of the world. Know more about Batad from Matthew. I have said it before: if you only have a week to stay in the Philippines, head to Coron, Palawan. 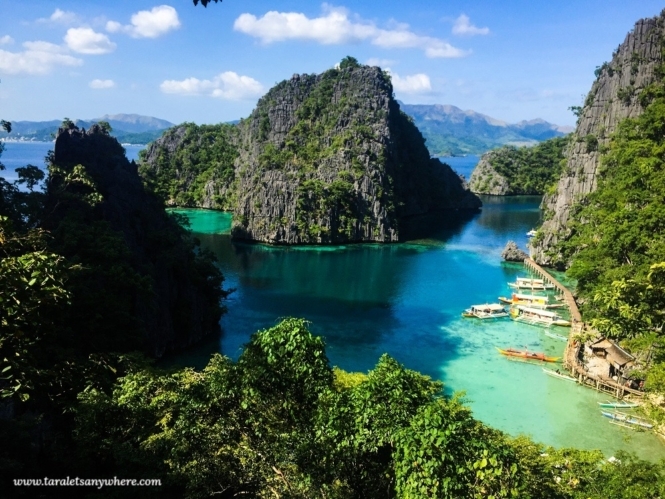 Coron has gorgeous lagoons, beaches and even the Asia’s cleanest lake. There’s also a hot spring, with salty water coming from a volcano. If you’re into adventures, you’ll love the various snorkeling and diving spots in the area, with the thriving marine life and colorful corals. You can also go to the Calauit safari a few hours from the town proper to see Philippine wildlife. Coron is the perfect blend of urban and rural living. Up to this day, the tourist attractions in Coron are managed and preserved by the Tagbanua tribe. Know more about Coron, Palawan here. The Philippines is a crazy beautiful country and definitely one of my favorite places in the world. I specifically loved El Nido in the Palawan. It’s hard to describe El Nido besides out of this world. Every day I would jump on a day tour to explore the nearby islands. Some of the beaches we would go to you’d have to swim through a cave to access them. Driving through the limestone islands with some of the prettiest turquoise waters I’ve ever seen. If you like beaches you could easily spend a few weeks exploring El Nido. After a day on a boat head back into El Nido town for some good nightlife and tasty restaurants. If there was one spot in the Philippines I could wake up tomorrow it would be El Nido. Know more about El Nido from Hannah. Port Barton on Palawan Island is one of those places where time stands still and you don’t want it to move on. This little piece of unspoiled paradise is not the easiest place to get to but your efforts will be rewarded with a serenity that is hard to find in this busy world. A small town with no paved roads and electricity for just a few hours per day and a stretch of pristine beach with a smattering of quaint accommodations and restaurants along the shoreline offers an escape to a simpler time. Spend your time beach combing, reading in a hammock, snorkeling or practicing yoga on the sand and you will come away renewed and rejuvenated. Don’t wait too long though, there is talk of paving the road to Port Barton which will undoubtedly change this untouched, natural sanctuary. Know more about Port Barton from Sarah. Once a quiet island, quite literally in the middle of nowhere, it was transformed into a Leper Colony and became a place where advances were made against the treatments and cures of the heartbreaking disease. Although many Leper islands existed in the World, Culion would become the largest one in the World. Today a visit to the island will be met by ran down medical buildings and a smiling community. Culion is a hidden treasure and a place that is visited by very few travelers on a visit to the Philippines. The island boasts one hotel and a whole lot of culture. Off its shores are some of the most pristine reefs you will ever find. A wander through the streets will give you a dramatic reminder of what life must have been like when it operated as a leper island. At times, it’s hard to tear your eyes away long enough to notice the abundance of life going on around you. It’s moving, it’s beautiful and it’s well off the beaten path. From Lina & David of Divergent Travelers . The Flower Island Resort is a paradise-like getaway: your own tropical heaven away from everything. It is located northeast from Palawan Island in the Philippines. The staff greeted us with shell necklaces and big smiles on arrival. The corals surrounding the island are untouched and thriving with life. We saw turtles on a number of occasions as well as a plethora of tropical fish. They also have some giant clams in the house coral directly in front of the main beach. Flower Island is surrounded by numerous pearl farms and most guests are invited to visit one of them during their stay, which we highly recommend. The Philippines specializes in producing golden pearls. It’s a very complex process, taking over 2-3 years to produce the “perfect” shaped and golden-colored pearl. A visit here is unforgettable and we highly recommend it as one of the best tourist spots in the Philippines to visit. Know more about Flower Island Resort from Stefan and Sebastien. Think island paradise in the Philippines, a resort on it’s own private island with soft white sand, crystal clear water and amazing snorkeling and diving straight off the beach, and it needn’t cost a fortune. 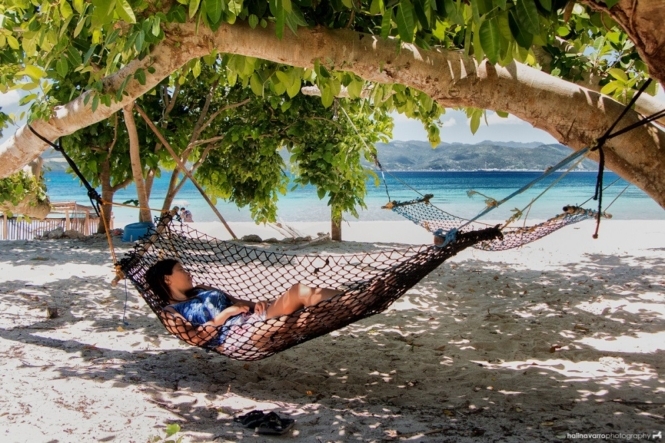 Modessa Island, located off the eastern coast of Palawan near Roxas, is an affordable option, with its rustic beach bungalows and all-inclusive meal package. On land there’s not far to venture, with the island taking about 20 minutes to circle, if you can be tempted away from lying on a beach lounger or hammock. But head out into the surrounding waters and you’re sure to spot countless colorful fish, schools of barracuda, stingrays and even reef sharks. And best of all? You’ve got it almost to yourself, at least if you visit early in the season (after it closes over the rainy season) like we did. Know more about Modessa Island from Shandos. Camsur Watersports Complex in Camarines Sur. Camarines Sur (also called CamSur) in the Bicol Region remains as one of the most sought after destinations in the Philippines because of its diverse attractions from frontline to developing tourist attractions. Extreme sports, recreation, cultural, nature, adventure, and religious tourism activities are almost countless—and these destinations are pretty close to if not accessible from Naga City. The CamSur Watersports Complex in Cadlan is equipped with world-class water-based entertainment facilities not only for wakeboarding and water skiing but motor cross, skateboards and BMX trails. The immaculate beaches in Caramoan will not disappoint locals and foreigners either; it is still the province’s ultimate summer capital. The lofty Mt. Isarog cater for hikers and even bikers for its adventure friendly trails. For those who are up to rejuvenation from corporate rat race’s stress, Panicuason offers natural hot springs and modern outdoor adventures. The home to the world’s smallest edible fish in the world, Lake Buhi, and the only white pebbles beach in Minalabac give the same treat. Waterfall chasers have their thing in Libmanan, Pili and Iriga City. This province is also teeming with historical churches and religious festivals such as the Peñafrancia and Tinagba Festival all year round. Know more about Camsur Watersports Complex and other attractions in Camarines Sur from Sony Boy. Sorsogon is possibly one of the most underrated provinces in the Philippines. If you’re visiting here, make sure to island hop in Matnog, Sorsogon. You can find a marine sanctuary and swim with the fishes (no sunblock please, and only during off-peak season), see a lighthouse on an island in the middle of the sea, beach bum in pinkish-sand beaches — Subic Liit, Subit Laki and Tikling Beach. You can also find a hidden beach accessible only by a cave, reminiscent of that in El Nido. Matnog has attractions that can surpass that of more-famous locations in the Philippines. Best of all, it’s still an off-beat destination so you can enjoy your summer with few other travelers. Know more about Matnog, Sorsogon. One of the best days of my life happened earlier this year in a little town called Donsol at the southern end of Luzon Island. Donsol is famous for the whale sharks that congregate in the plankton rich waters. After a night in Manila, a VERY early morning to flight to Legazpi and a one hour drive we were sitting by the beach in Donsol getting ready to snorkel with whale sharks. We watched a short safety briefing – mostly about the whale sharks safety because we humans are the bigger threat to these giant plankton eaters, and then we were off. Within five minutes of leaving the shore we were in the water with an ocean giant! Not only just a glimpse and then gone… no, this one stuck around and let us swim alongside for a good AMAZING 30 minutes! On our second day we discovered how lucky we were the first time around. This time we scoured the bay for almost an hour with no luck. Just when I thought our karma was up, the sharks appeared. Yes SHARKS! We saw seven different sharks ranging in length from 5-9 meters over the next two hours. I was in heaven. Could not wipe the grin off my face! Know more about Donsol from Jess. For me, Ilocos has to be one of the best Philippines tourist spots. When I went to this province in the north, I did not have an idea what Ilocos was going to offer me but it did not disappoint me. If you are interested in UNESCO World Heritage sites, Ilocos has surprises for you. Do you believe if I say, there are more churches in Ilocos than malls? Santa Monica Church, St. Williams Cathedral are just two of them. Another important church is Church of Saint Augustine, a UNESCO World Heritage Site and a National Historic landmark. When in Vigan, Vigan Cathedral which is also known as St. Paul Metropolitan Cathedral and is a part of the UNESCO World Heritage Site is a must visit. Cobblestone streets of Vigan city look awesome both during the day and at night. There is Laoag Taoid Museum which tells us the history and evolution of all the tribe that lived in north Philippines. President Imelda Marcos’s house overlooking the River will leave you spell-bound. Ilocos is the only region in the whole Philippines, which has sand dunes! And your visit to Ilocos is incomplete if you haven’t eaten the local snack empanada. After spending 7 months in the Philippines, it’s hard to choose only one of our favorite places to visit. However, among all the beautiful islands, beaches and countryside, there is one place that definitely stood out from the rest. Kalanggaman Island, located in the eastern Visayas region, is an unbelievably gorgeous stretch of white sand in the middle of paradise. The water is as turquoise as you’ll find anywhere in the Philippines, and due to its secluded location, the island doesn’t get overcrowded with tourists. You can spend the day hanging out in a hammock or take a stand up paddleboard for a cruise on the calm waters. If you plan on traveling to Kalanggaman Island, you need to get to the province of Leyte, and then from there take an hour-long boat ride from the city of Palompon. It’s a bit of a mission, but the reward is well worth it. Know more about Kalanggaman Island from Jules & Christine. Located in Samar, Biri island has been featured on several local travel shows and fun tourism articles because of the beautiful rock formations here which feel like they’re from another world. Don’t let the term “rock formation” fool you—the gorgeous trek was quite easy even when we were tired. While there are seven rock formations in all on the island, if you only have time to visit a couple as we did, I would definitely recommend that you check out Bel-At during high tide for the lagoons — the sweeping, majestic view that you’ll get of the natural pools is absolutely romantic. The Magasang rock formation is just as gorgeous with the pristine saltwater and the enormous jutting rocks that are positively a wonder to behold. It was definitely worth the trip! From Karla of Karla Round the World. Apo Island is a place where magic happens. If you’ve ever dreamt of swimming with giant sea turtles, this is the place to go. And the best part is that anyone can do it! You don’t need to be a scuba diver or a pro snorkeler. Turtles are really close to the island’s shore and they are so comfortable around humans that at one point I had four swimming around me. Just don’t be inconsiderate and make sure you don’t touch them! Swimming with turtles in Apo was the highlight of my trip to the Philippines. Apo Island, a real ecotourism paradise, is very small, so you can easily explore it in a few hours with a day trip from Dauin in Dumaguete. Know more about Apo Island from Steff. Siquijor will always be a special place for me, because it is there that I fell in love with the Philippines. The island was the first stop of our month-long tour in the Philippines, and we couldn’t have asked for a better start to our journey. We heard about Siquijor’s dark side, the fact that there are believed to be sorcerers and spirits, but to be honest, we couldn’t really find any! What we found instead were wonderful beaches, multicolored sunsets, clear blue water and cool places to see, like Cambugahay waterfalls and the famous Lazi balete tree. There is so much to see in Siquijor that we recommend a minimum of 5 days on the island — trust me, you won’t regret it! Know more about Siquijor from Margherita. Tarsier, one of the smallest primates in the world, endemic in the Philippines. If there is one must-visit destination in the Philippines, it is Bohol. This small island packs a huge punch. There are many awesome places to visit, beautiful beaches and it’s just a short ferry trip from one of the major gateways in the country, Cebu City. In Bohol, you can see the gorgeous tarsiers or the rolling chocolate hills. There’s many jungle adventures to be had or amazing underwater adventures. If that all sounds like too much, you can lounge on a beach. Bohol has a lot of variety for a small island. I recommend not just staying on the beaches – have a jungle escape as well. There are some lovely inland resorts where you can enjoy this other side of Bohol. Know more about Bohol from Where’s Sharon. A tiny island attached to the southwest tip of the main island of Bohol, Panglao surprised us with its beauty. This place has a typical laid back “island vibe,” which we did not find in El Nido or Cebu. The most popular beach here is Alona beach, which has sugar white sand and the clearest blue water. However, if you explore further, you can find a few more beaches that are as beautiful as Alona beach but usually empty. What we liked the most about this island was, that it was possible for us to explore it on our own for cheap without taking any guided tours. Know more about Panglao Island from Sonal and Sandro. Malapascua is a tiny island separated by a narrow strait from the northern tip of Cebu. This island is probably not one of the most visited ones in the Philippines, but it stole our heart instantly, and we spent there much more time than we had actually planned. Getting to the island is quite an adventure: a 5-hour bus ride takes you from Cebu City to the small beach town of Maya, where you can catch a local boat to the island. The island receives divers from all over the world, since it’s a fantastic underwater destination. The biggest attractions are long-tailed thresher sharks at the Monad Shoal dive site. Since most tourists stay at diving resorts on Bounty Beach, you can walk to the North of the island, where you can find fantastic beaches and secluded coves with usually nobody there. In the interior of the island there are several villages, where friendly locals live their everyday life. You don’t seem to bother them at all; we even had the chance to play some basketball with the kids. In these villages, you can also find places where you can eat for a couple of bucks, perfect for backpackers on the budget. Know more about Malapascua and the Philippines from Gabor of Surfing the Planet. Basdaku White Beach in Moalboal, Cebu. Basdaku White Beach is located in Moalboal, Cebu. It caters a kilometer long stretch of white sand beach, turquoise blue waters and other saltwater wonders. It is also known as Basdaku Beach Resort. Alternative to its relative beach, the Panagsama White Beach, Basdaku Beach Resort is more popular to locals, and not quite much known by foreign tourists. The beach is very much available to the public. With an entrance fee of just 5 pesos each, you may enjoy the long stretch of white-sand at its finest. For the activities, most resorts offer an island hopping tour to Pescador Island. In Pescador Island, snorkeling activities are highly encouraged. You will also be witnessing a sardine run if you are lucky enough. That’s more than a thousand pieces of sardine fish swimming with you! Know more about Basdaku White Beach and Moalboal from Jerny. It’s hard to choose which island in the Philippines you should go to on a short trip. We ended up choosing Boracay. The ability to walk on multiple beaches, all with different things to offer made it ideal. The most famous beach in Boracay is White Beach. However, my favorite area was a little beach called Diniwid Beach just north of White Beach. It’s not your ritzy, glamorous or luxurious beach. If you are lucky enough to find it, you will find a quieter beach with calmer waters. It’s the perfect place for swimming, relaxing and sunsets. There are a couple of small restaurants and accommodations, but the best place to get a drink and snack is the Spider House Resort. Their restaurant is over the water so you can sit out in the sun looking at the blues as far as the eye can see. It’s relaxing, calming and you will be grateful for being lucky enough to experience this paradise. Know more about Boracay from the travel couple on 33 and Free. Antique is an off-the-beaten path province filled with stories of magic, stunning natural attractions, and exciting adventures. Start your adventure by exploring the mysterious Maanghit Cave in the northernmost municipality of Libertad. After that, ride a rubber tube down the Bugang River, the cleanest river system in the country, in Pandan. Conclude your wet and wild adventures by climbing the slippery slopes of magnificent Igpasungaw Falls in Sebaste. You deserve a relaxing sojourn after such adrenaline-pumping activities, so head off to the scenic and hilly Mararison Island in Culasi. If crossing the sea is not your cup of tea, stay inland and ride the Tibiao River in a kayak, explore the triple waterfalls of Bugtong Bato, or simply simmer yourself in complete relaxation in a kawa hot bath. Learn more about Antique’s unique culture by staying in a rustic farmers’ village atop massive rice terraces. Or get a practical lesson in biology as you hunt for the reclusive Rafflesia, the largest flower in the world. For a dose of adventure, climb up the steep and narrow ridges of Mt. Igcuron in Valderama. Finally, reward yourself with a visit and a dip at the enchanting Nogas Island in Aniny-y. Know more about Bugang River and various attractions in Antique from Gian and Sheila. Siargao Island is the surfing capital of the Philippines and home to the famous Cloud 9 wave. You have to visit this island if you want to experience authentic “island life”. 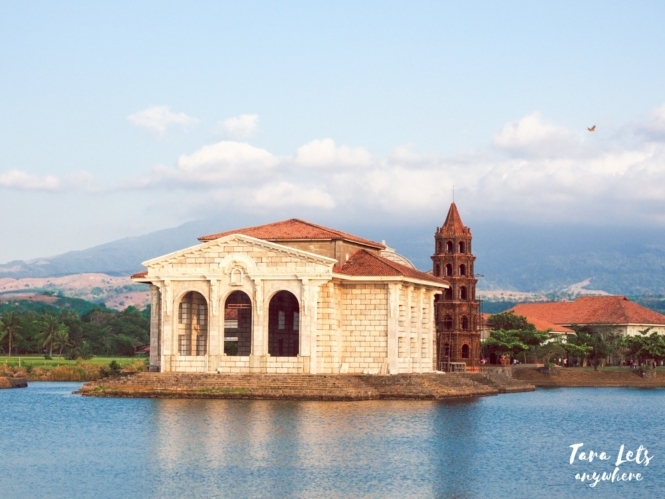 With no direct flights from Manila, it has so far managed to keep it’s charm. Everyone is super friendly; with time standing still, people are happy to stop at chat anywhere, anytime. The island is best explored by motorbike, with very few cars about. If you don’t fancy a surf (there are waves suitable for all), there’s the natural tidal pools, waterfalls, beach time and gorgeous sunsets to keep you busy as the locals go about their day. Of course, you need to spend some time on the pier at Cloud 9 to see how the pros surf. Food-wise, there are a bunch of hipster-like restaurants popping up in General Luna (main town). If you’re looking for Jollibee’s, you won’t find that here, as it isn’t ready to give into mainstream commercialization. Know more about Siargao from TikiTouringKiwi. Camiguin Island is a must visit; this island very therapeutic. It is peaceful with little crowd, and you’re always close to mother nature. It features white sandy beaches, a trekking adventure to the volcano, waterfalls and hot and cold springs. It’s a place away from the noisy crowd. Camiguin is ideal for family trips. I brought my mom and sister here. It’s ideal for all ages. My mom would love to go back to this island. You can bring your family and friends, even a whole company for a team building. The must-visit places in Camiguin are the Walkway to Old Volcano, White Island, Sunken Cemetery, Katibawasan Falls, Sto. Niño Cold Spring, Ardent Hot Spring and old church ruins. Other activities include snorkeling with giant clams and soda swimming. Know more about Camiguin from Roxanne. THE PHILIPPINES has over 7500 islands and 81 provinces, and these are the best places among them. A heart-felt thanks to everybody who contributed their favorite places in the country. Which particular place would you like to visit soon? Which specific place would you like to add in this list? P.S. You might also be interested in this Travel Guide to the Philippines. If you like this post about the best tourist spots in the Philippines, save it in Pinterest! I feel so loser. Ilocos and Camarines Sur pa lang napupuntahan ko haha! Love this list! This is an awesome list! Thank you for sharing! My friends will be traveling around SE Asia again and they never had the opportunity to visit the Philippines, so this article just bumped it up a notch on their bucket list. Coron looks especially amazing! Thanks again! I’ve always wanted to go to the Philippines and we’ll get there someday soon. Palawan especially is at the top of my list. This is a great guide for anyone whose thinking of going to The Philippines! So pleased you included Siquijor, it’s a real fave of us here at Above Us Only Skies! The Philippines is such an epic destination! The Philippines will be on my bucket list until the day I get to visit those incredible beaches. Coron is amazing, I’ve been reading so many blog posts about it recently. Major wanderlust! Humbled to be a part of this article, Kath! Hi, Julia. I think that’ll be December to February. Personally I like January to February the best because it’s already high-peak season in December and accommodations and rates are much higher, but if you’re not on a budget then it’ll be fine. For the best tropical weather, ideally the best time to visit the Philippines is during summer, from March to May. This coincides with school vacation, so mainstream tourist attractions especially beaches are often crowded. June to November is the rainy season. Personally I like to tour during this period because it’s also off-peak season but wouldn’t recommend it because there’s always a chance you’ll get stranded because of a typhoon. Seasonal patterns always change in the country though and even vary among different regions, but December to February is the safe answer.